As Chief Judge, Rader bought sheer intelligence and coherence to a number of difficult decisions. 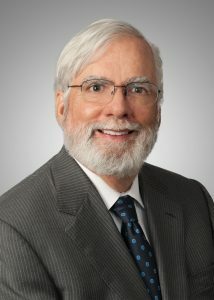 Although I have criticized his Bilski dissent – which bought the cult of the abstract idea to prominence, he also was among the last of the defenders of a limited role for the written description requirement – a legal battle eventually lost (See his concurrence in Novozyme v. DuPont Nutrition this year). I guess I would have hoped for a Chief Justice with some scientific background – Judge Prost is an expert on Labor Relations, but I certainly wish her well as she prepares to lead the court into uncharted waters, with the Supreme Court poised to be the Neptune to her Ulysses. This entry was posted in 2013 Patent Review and tagged Federal Circuit, intellectual property, ip, Judge Prost, Judge Rader, Patent Law, patents, Warren Woessner. Bookmark the permalink.